What prompted this post was an old vampire movie that I was watching last night. These days, when I think of vampires, Stephenie Meyer comes to mind, and Dracula of course. Then, I thought of how her quiet life became a frenzy of writing one book after another, short deadlines, one movie after another, many interviews, galas, tons of huge book signings, all marketable Twilight paraphernalia … and so on. The more I thought about it, the more I agreed with my inner self that I wouldn’t want to be in those shoes. Why? It seems so exhilarating and who doesn’t love the spotlight? The answer is me, and I am sure that there are some writers who love their quiet lives and privacy, and would not like the type of success that brings all that frenzy with it. I am not anti-social, I like it quiet, and I love my privacy. I love to give when no one is looking – that is my overall style. 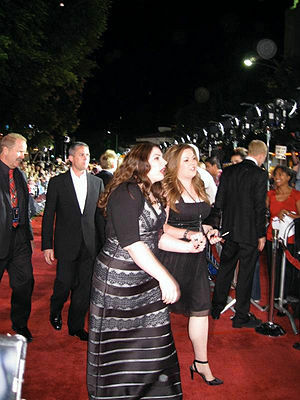 Where is Stephenie Meyer today? Probably very busy with new projects and the current ones, as well as dealing with the comet’s tail left behind. God bless her, as it takes a lot of energy and patience to handle that kind of spotlight. When I visualize a writing career, I see writing, readers, a strong sincere commitment to the readers, and more writing, and more writing, and more writing. Somehow, I wouldn’t want to include galas, craziness, and tons of attention into my writing dreams. Given that what happened to Stephenie Meyer is not the usual way things develop, and at such speed, however, she is a good example of what I wouldn’t want to experience in my future as a writer (and of course, I also want to make a living at doing what I love – the bills have to be paid). Have you visualized your writing career? Are you published and experiencing it? How do you visualize your spotlight? At the flip of a switch or as a growing light with a dimmer? Which style suits you better – smashing Boom success a la Meyer or rhythmic success a la Coelho? Would you write for the love of it and for that one reader who has to read your book, or for fame? Do you write because you love the craft or with a future dollar sign/spotlight on the back of your mind (meaning becoming famous). The answer to these questions will help you figure out what you want from your writing career and your internal level of comfort. Feel free to share your point of view. Yer a preachin’ to da choir. I think so much writing to day is dishonest and pandering. I know that fiction by definition is dishonest, but I think a rational and honest person gets the point. Yes, writing for the wrong reasons is never the best for inspiration. It is fine to write for fame is that is what a person truly wants, to become a best selling author, as long as his/her writing goals are clear and aligned towards the path the writer has chosen – to each its own.